Time has gone by so quickly! Where did my cuddly newborn go? I miss the days of just nursing him and snuggling him on the couch, but as time goes on things just get more fun! As I contemplate how quickly the newborn phase came and went I want to share some of my favorite things that helped Cohen and I during his first few weeks here with us! Paci, sooothie, binky, whatever you call it those little suckers really helped Cohen to self soothe. Funny story is that I was actually ANTI pacifier at first and promised myself I wouldn't get my baby hooked. However, once you're a mom you'll do a lot of things differently than you imagined you would before baby arrived. 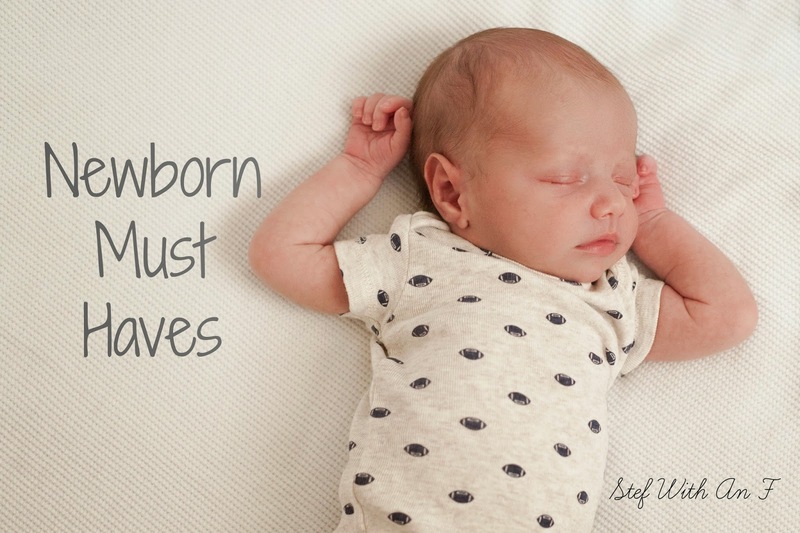 With a newborn it helps them to ease their transition into the scary world we brought them to. As they get older though it's easier to use it less and less. Now Cohen only uses it to fall asleep! I have a Boba Wrap but before the Boba I had a homemade Moby that a friend let me borrow. I feel that the Boba is easier to put on and get the baby into, but the Moby sometimes felt easier to wear because it doesn't stretch as much. The wrap does wonders for the Newborn stage for a few reasons. First of all that little bundle of joy just wants to cuddle with you all the time. He wants to hear your heartbeat and smell your familiar scent. Anytime Cohen was crying and I didn't know why, I would stick him in the wrap and walk around doing house work and that always helped. I've heard it works wonders for babies with Colic as well. Also, it gives you the added comfort of getting things done without the "mom guilt" most first time moms have those first few weeks. I'll be the first to admit that the first month is rough when running on zero sleep. It's almost hard for me to remember the first month of Cohen's life because it seemed like one big blur. One night I was so tired and Cohen was wide awake so I decided to let him hang in the swing and stuck him right by the couch where I was sleeping that way he could chill and I could sleep. It was also nice to use the swing for doing chores when I didn't want to use the Wrap. He loved the swing and it would put him to sleep quite often. As I am sure you have heard from many moms, nursing is not easy in the beginning and a nursing pillow will help to make your life just a little easier. I had the Boppy Pillow and stopped using it around 2-3 Months or so once we got the hang of it, but before then it takes a lot of pressure off of your back and helps the baby find his or her way when they are learning to latch on. Cohen doesn't cry when he needs a diaper change. He could be in a wet/dirty diaper all day and never let me know. That's why I am so grateful for the wet indicator on the Pampers Swaddlers Diapers. We've been using those darn things since Day 1 because I love how easy it is to check if they need a diaper change or not. Now this one is an obvious one, but I want to encourage you to keep one in every room of the house. You don't know how many times I've had to run out of the kitchen or bedroom to go over to Cohen's closet in a panic to grab a burp rag. Spit up everywhere! Get velcro swaddles to make your life easier! Swaddling is really hard at 3 in the morning on absolutely no sleep so just do yourself a favor and try one! We had an Ergo swaddle and loved it! Last but not least an Infant Car Seat. Again, before I had Cohen I thought the ideal thing to do would be to take Cohen out with me in a carrier of some sort whether it be an Ergo, a wrap, or something else. While it is nice to carry the baby while out that way they are less likely to cry and you have your hands free, it honestly wasn't the most practical thing for me. I ended up buying an infant car seat and switching him to that at around 3 months when I went back to my nanny job. The reason I love them so much is that he can fall asleep on the go and I don't have to worry about waking him up from a nap just to go to work or to go shopping. I hope this helps moms out there with what to get to help momma and baby during the Newborn Stage! What were some of your favorite things that helped you and your babe those first weeks?